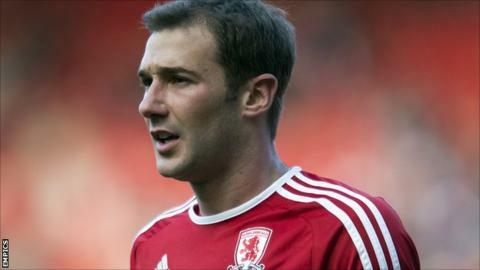 Middlesbrough have released Scotland international midfielder Kevin Thomson from his contract by mutual consent. The 28-year-old has been plagued by injuries since moving to the Riverside from Rangers in July 2010, limiting him to just 56 appearances. He broke his leg just a month after joining Boro and has also struggled with calf and hamstring problems. Thomson, who has three Scotland caps, previously played under Middlesbrough boss Tony Mowbray at Hibernian. While at Rangers, the Edinburgh-born player won two league titles, and also played in their 2-0 Uefa Cup final defeat by Zenit St Petersburg in 2008.